Anyang General International Co., Ltd (AGICO) has been providing railway fastening solutions for worldwide railway road constructions, which mainly supplies rail fasteners, fish joint, rail track and other rail fastening system parts. 3 service systems for facility supply, transport and warehouse management, combined with 5 functional sectors including Quality Inspection Dept., Production & Technology Dept., Operation Dept., Financing Dept., and Administrative Office form a professional and orderly company structure. 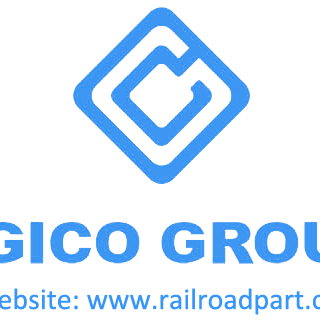 AGICO has large daily production ability, so if you need large quantities of railway product in short delivery time, AGICO can satisfy your requirement easily: 100MTS of rail joints, 100000 pieces of rail clip. As a major railway product supplier in China, we will continue to providing first-class railway product to customers all over the world. Rail fasteners: rail bolt, rail fish plate, rail tie plate, screw spikes, elastic rail clips, rail anchors, rail shoulders, rail bolts, rail pads. Rail joints: standard rail joint, compromised rail joint, joggled rail joint and Fish bolt. Rail track part: according to application: rail track for light rail, heavy rail and crane rail; according to country: American standard railway, BS standard railway, UIC standard railway, JIS standard railway, EN standard railway, Din standard railway, Grooved Rail, Indian standard railway, Australian standard railway and South African standard railway.